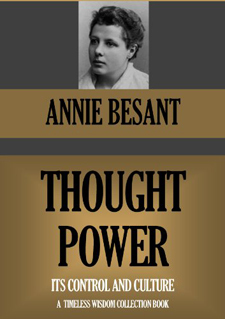 This webinar explored the book Thought-Power -- Its Control and Culture written by Annie Besant. This book was one of the first to present to the West a clear and systematic study of the hidden power inherent in our thinking. Its study will help us gain a deeper knowledge of our mental nature and learn how to master this important power in order to stimulate our spiritual growth and help others to do so.